Long before lucrative tribal casinos sparked controversy, Native Americans amassed other wealth that provoked intense debate about the desirability, morality, and compatibility of Indian and non-Indian economic practices. Alexandra Harmon examines seven such instances of Indian affluence and the dilemmas they presented both for Native Americans and for Euro-Americans--dilemmas rooted in the colonial origins of the modern American economy. 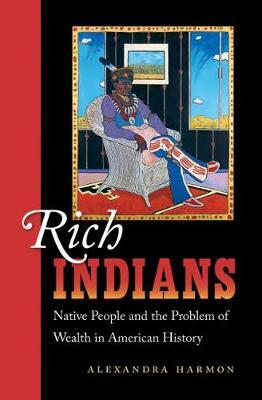 Harmon's study not only compels us to look beyond stereotypes of greedy whites and poor Indians, but also convincingly demonstrates that Indians deserve a prominent place in American economic history and in the history of American ideas.